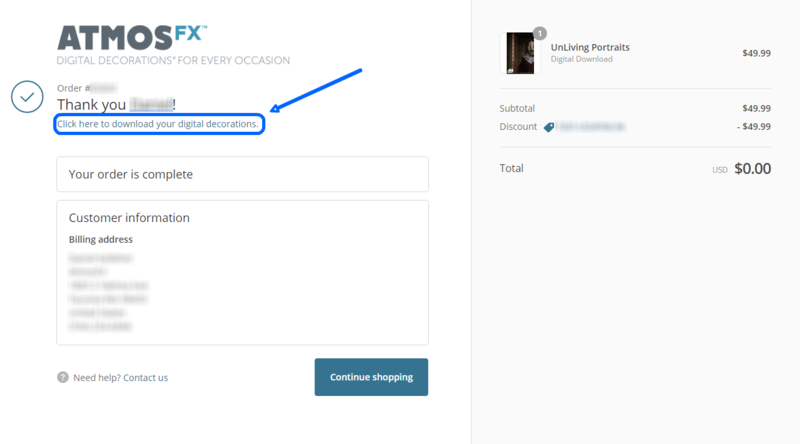 AtmosFX Digital Download links are provided immediately after purchase on the confirmation page. You can bookmark and save this link for later use after purchase. We also send confirmation emails to your provided email address which contain your download link. This email will arrive within the first two hours of purchase, usually immediately. If you haven’t seen your download link email yet, it may have been missorted as junk mail. Please check your spam folder for a message from "noreply@sendowl.com". It may also be possible that your provided a different email address on your order, or made a typo. If so, the next section will help you. If you don't know or can't find your order number, just your name and email address will do. If you paid over PayPal, we can also use your PayPal transaction ID. If you have multiple email addresses, please provide all of them. You may have placed an order using more than one address, or a different address than the one you used to contact us.